Did Dali dream of Efgeeco? 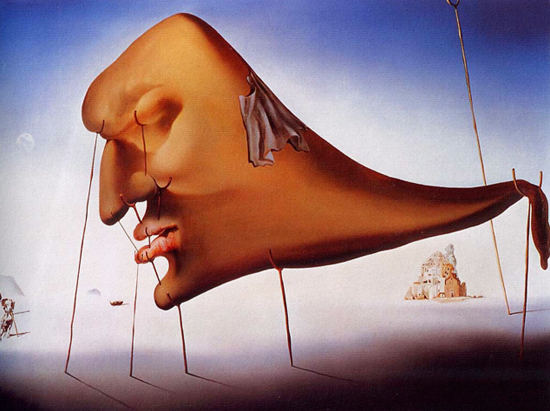 Something kind of hit me today, was Salvador Dali a dreamer of Efgeeco products, perhaps this was the forerunner to the pod? Anyhow back to work! Penfolds of Cuckfield in West Sussex was my place of wonder towards the end of the late seventies and throughout the eighties. After an up hill bike ride of about four miles I arrived, breathless and excited, just as if I was going fishing. As I recall the front of the shop would have been no more than ten feet wide including the entrance. The exterior was painted gloss black with a hand painted sign, ‘Penfolds’. 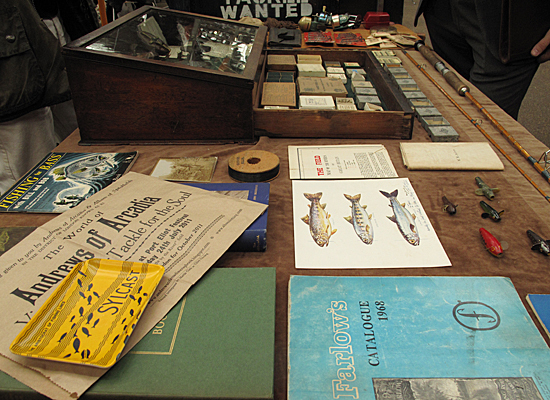 The window was covered in a layer of yellow celluloid gel to protect the display of angling items and packaging from the effects of the sun. To enter, a slightly stiff door had to be given a hard push to engage a brass bell, which would in turn alert the waiting staff. 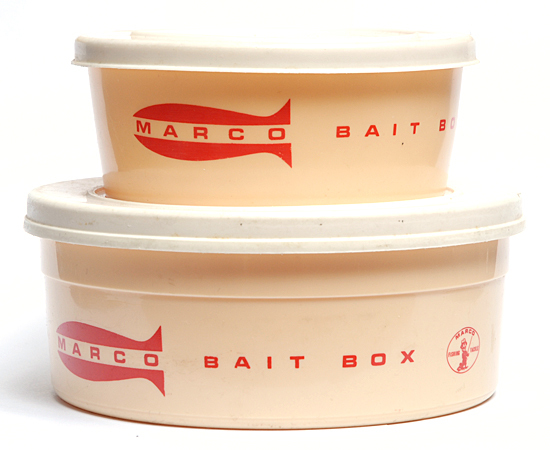 Once through the door a waft of maggots, waxed canvas and old oak drawers filled my senses (long before the smells of tutti fruiti boillies and halibut pellets). 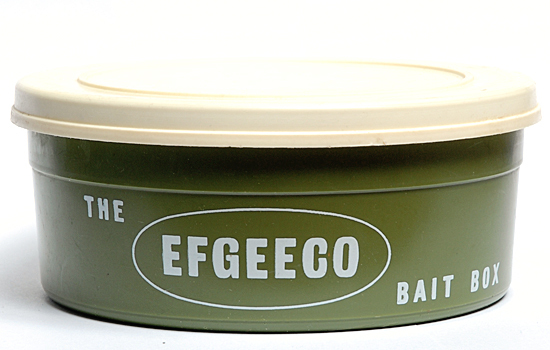 I was immediately thrown into a magical world of fishing tackle, spools of Perlon, rows of floats, shelves stacked high with boxes of reels, piles of Efgecco bait boxes in the corner, spilling out of a large cardboard box and small wooden drawers filled with hidden angling paraphernalia. The shop, like the frontage was about ten feet wide with a counter running all the way along the left hand side to the rear, the interior was always quite dark even on a bright summers day. The far end was dedicated to shooting and equestrian related items, this enhanced the smell with fresh cut leather and ointments. 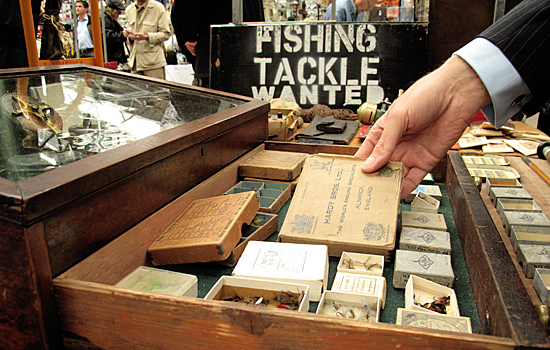 Along the narrow corridor on the right was a selection of wall mounted display cabinets full of floats ordered into categories; balsa’s, porcupine quills, waggler’s, chubbers, wind beaters, avon’s and lignum sticks produced by makers such as Ultra and Middy. Between the float displays were racks of rods, not the huge selections that you would expect in a modern tackle shop but no more than about twenty rods from thick glass float rods to the ultra thin and expensive new carbon creations. 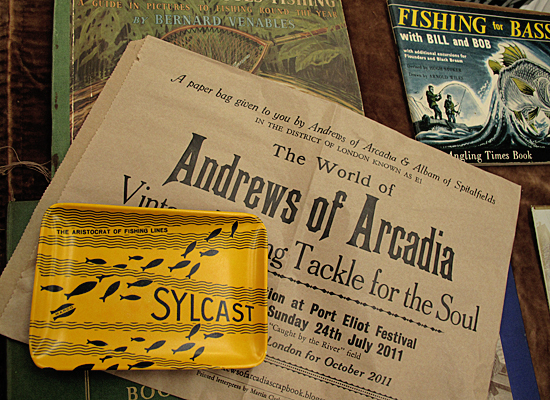 One Saturday morning I was taken by my father who used to sea fish, (he had a boat on Brighton beach in the 1950’s) where he purchased my first new rod for my tenth birthday, a 11ft Shakespeare ‘Strike’ float rod, made of glass and as thick as a rolling-pin! I think this was the only time I ever ventured in the shop with an adult; Penfold’s was strictly a place for myself and my angling peers. 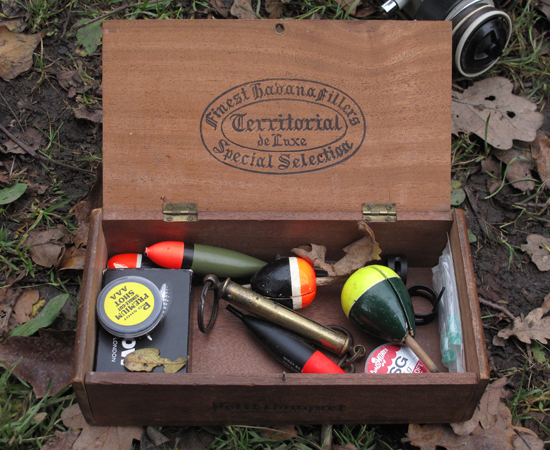 The long counter was made of a dark hardwood with a glass top that allowed a display of angling accessories, more floats, swim feeders, weights, pike gaff’s and scales. 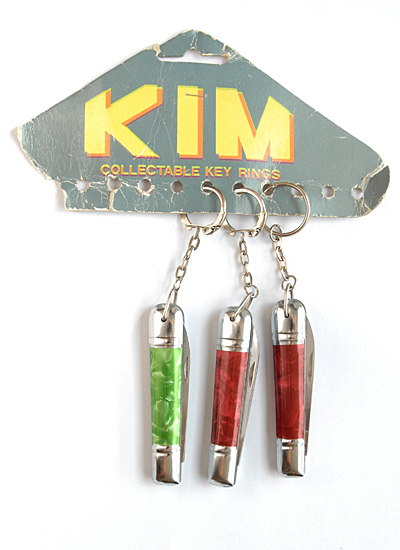 The custodians stood behind the counter framed by a montage of more tackle including cheap penknife’s hanging from display cards, canvas fishing bags and keep nets dangling from the ceiling. The elderly grey haired couple both dressed in sandy brown shop overalls would stand to attention awaiting my meagre order of bits and bobs. Also behind the counter, on the wall was a series of matching hardwood drawers, none of which were labelled but if a request for something unusual, a Mitchell bail arm spring or a spare rod ring, a bee-line would be made to the correct drawer and the said item would be found and placed on the counter. If the item was correct then it would be tallied up with a pencil on a brown paper bag. Many times I would have to put items back as the tally became too much for my limited pocket-money. 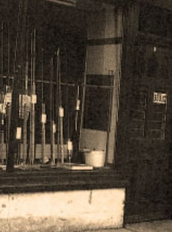 There were bigger, more ‘modern’ angling shops near by but as a shy youngster and novice angler, Penfolds was the place to go for good friendly advice. Recently I drove down the high street and to my surprise Penfold’s still exists on the opposite side of the street in a larger premises that is now just a country and equestrian clothes shop, the Penfold’s of old has all but gone.